It may help chameleons in the wild, but it doesn’t help PR agencies. The goal of public relations is to promote and showcase their clients in the best possible light. But disguising the successes of the agency and stretching the truth on what advances the agency made for the client only adds distrust and second glances from clients – the last thing any PR agent wants. Client-to-firm relationships should be open and flowing both ways and putting up fronts only inhibits that aim. Walmart also experienced this conflict with concealment. ed truck driver uniform robbed the Bristow, Oklahoma Walmart store of over $75,000. But instead of fireworks, there were waterworks. Complete with a fake bulletproof vest and the signature hat, this “Loomis truck driver” was not caught until the genuine truck drivers arrived on schedule for the cash pickup, 30 minutes later. Despite his precautions, all eyes are on the thief including surveillance camera footage, detectives on the case and employee testimonies. And all eyes are on PR agencies. Nothing is private in public relations, so don’t disguise but be crystal-clear experts. The number one priority is keeping clients on the same page and communicating a message that is perceptually accurate and upfront. 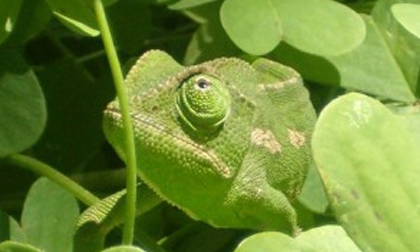 Take it from Walmart and the so-called Loomis truck driver – camouflage only works for chameleons, not for PR personnel.